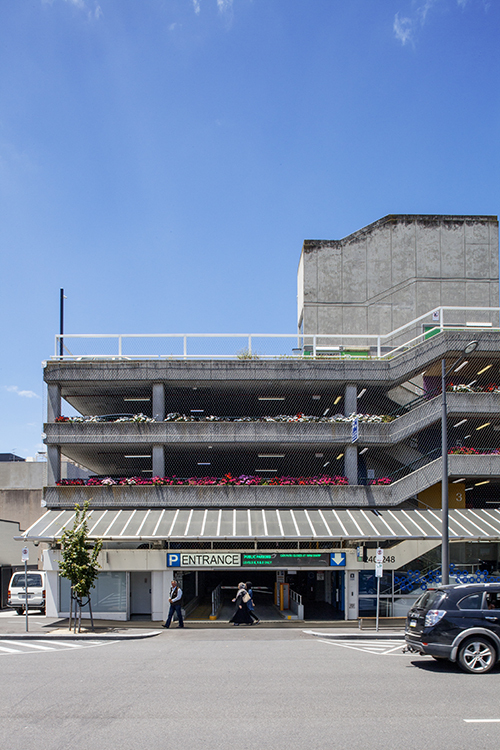 The challenge with older public building stock is keeping them up-to-date with current codes and regulations, this is especially the case with car parks. Functional utilitarian buildings by nature, they are often overlooked. 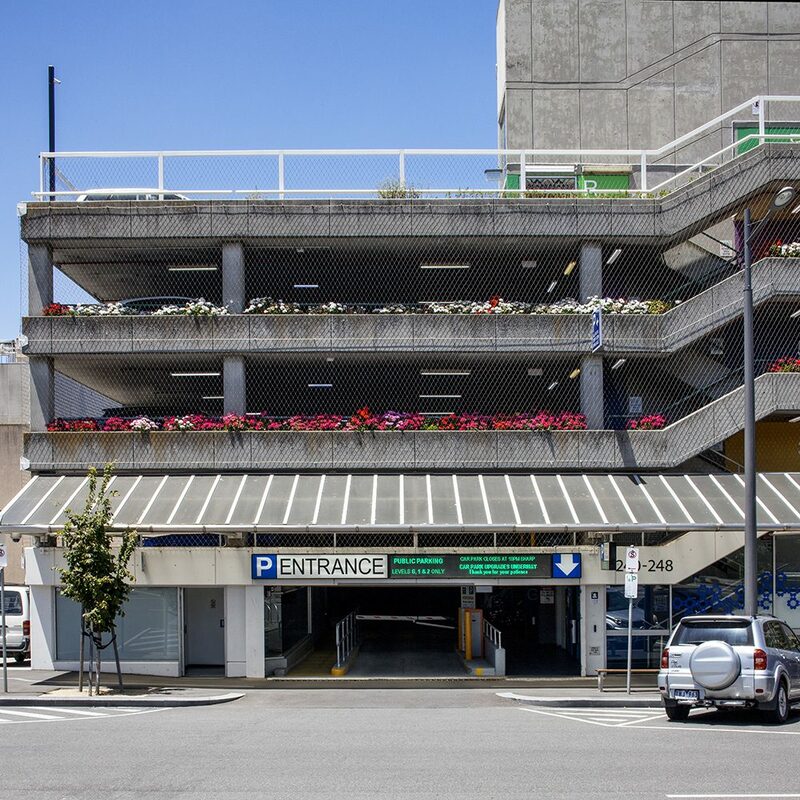 With the recent upgrade of the Thomas St car park, by the Greater City of Dandenong, a facade of Webnet mesh has been used to ensure a long and safe future. The local concern was in regards to safety of the car park for those that use it. The concrete structure provided a good base but the balustrades were not up to the current codes. Enclosing the structure in a standard facade would be costly, not only in materials and extra structural modifications, but would also require an expensive air exchange system. The Architects from Co-op Studio turned to Tensile and our Webnet mesh to provide a permeable light weight barrier that would meet the necessary load requirements. Webnet mesh is made from grade 316 stainless steel providing a long and relatively maintenance free life. The material is strong thanks to the filigree nature of the wires providing the required structural capacity, whilst still being 94% open area. Tensile made the mesh in large pieces and installed it from the top of the structure down. Supported on a series of 6mm Jakob cables the mesh wraps the entire external face of the building with out the need for any modification to the original building. 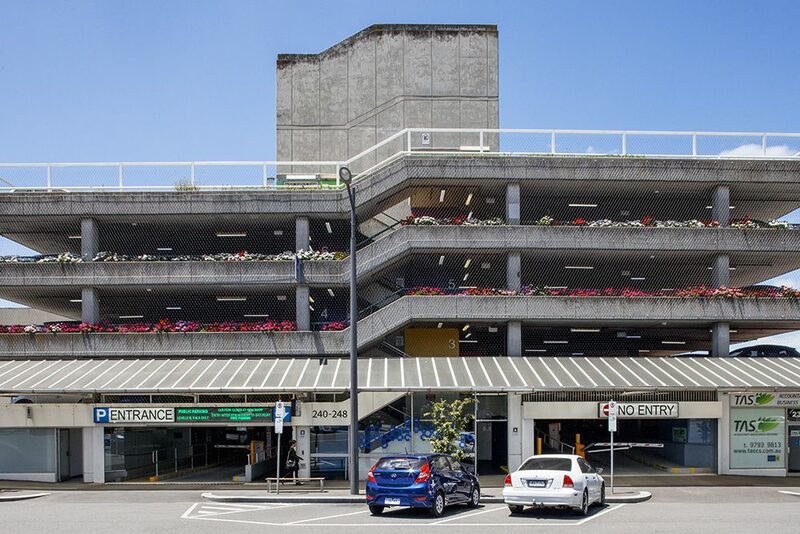 Tensile completed the installation of over 1800m2 of mesh in three weeks whilst the car park was still in operation. 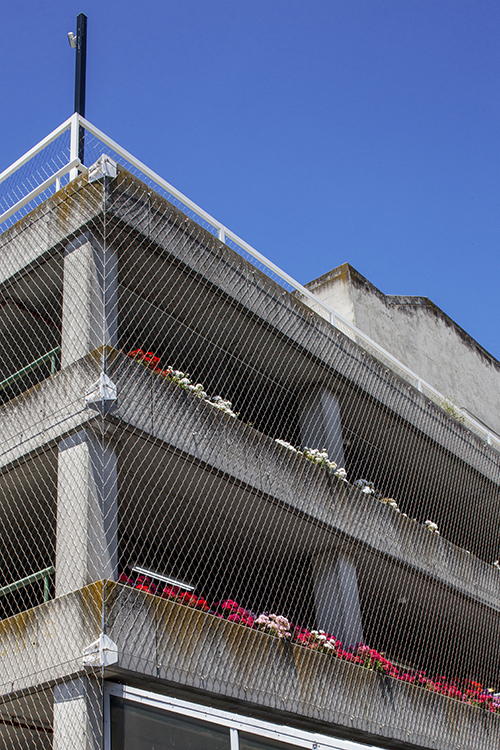 Webnet mesh is a fantastic material, with the right advice and experience it can be adapted to suit any new or old building to provide safety and fall protection.